The Miraizon DNxHD (VC-3) and ProRes compatible QuickTime components are high-performance compression and decompression codecs that allow you to easily work with the industry's most popular video editing formats. Both codecs maintain full original frame sizes and color with virtually indistinguishable image loss over multiple compression and decompression cycles. Both also offer a variety of compression profiles to allow fine-tuning the compressed file sizes. The new Version 2 offers more profiles, more pixel formats, and better performance. 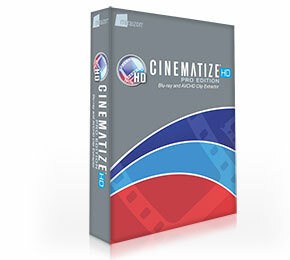 Cinematize Pro HD is the industry's first true Blu-ray and AVCHD extractor and converter. It allows you to extract clips of any length, from any part of the media, while keeping the full HD quality with little or no degradation. By extracting and converting just the portion of the movie that you want, Cinematize Pro HD saves you a lot of time and disk space. By maintaining the original high quality, Cinematize Pro HD delivers flawless multichannel audio and stunning HD video. The extracted files are compatible with all your favorite tools, including Final Cut, Premiere, Avid, ProTools, QuickTime, iMovie, PowerPoint, mobile devices, or the web. Faster. Better. Easier. 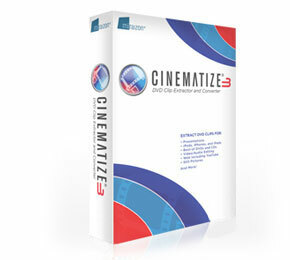 Cinematize 3 Pro is the next generation of Cinematize. With the new batch Extraction List, your DVD editing gets a whole lot faster and easier. You can now extract any number of clips with the same or different settings all at once. With fully synchronized video/audio/subtitle preview, locating the exact point you want on your DVD is a piece of cake. Cinematize 3 Pro also offers many additional new features including faster performance, better decoded output video quality, the ability to save and load Extraction Lists and settings, the ability to combine multiple clips into one output file, direct output to H.264, iPhone, iPad, and 3GP phone movies, and much more. 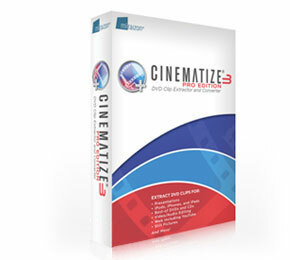 Cinematize 3 is an introductory product that includes everything necessary to get started on DVD extraction and conversion projects. A subset of Cinematize 3 Pro, it offers the same enhanced high-quality output and accelerated extraction speed. Users can enjoy a variety of new features that make the clip selection process a whole lot easier, including video and audio preview and a larger resizable window. Cinematize 3 allows users to effortlessly do more with their DVDs, including direct output to H.264, iPhone, iPad, and 3GP phone movies. Reframe is a high-quality video converter that lets you convert audio and video from one standard to another. You can convert between PAL and NTSC video, SD and HD video, or from film to video. It also converts video and audio among formats include: MOV, AVI, MP4, MPG, M4V, DV, WAV, AIF, and many others. 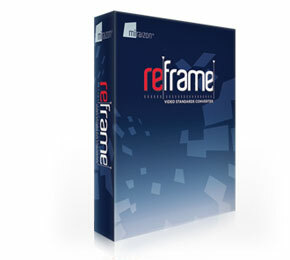 Reframe is an affordable stand-alone software solution for video and audio conversion.